Looking for an auger that can drill through ice and earth? You have both options in the Landworks Auger. This auger has been in many top lists for being one of the best augers for drilling holes in ice and drilling holes in the earth. Why not get the best of both worlds in one auger. 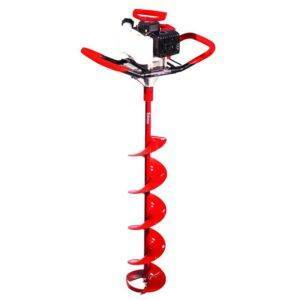 You can take it out ice fishing with you in the winter and then in the summer; you can use the same auger to drill post holes, planting seedling trees and bulbs. 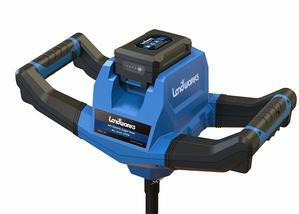 The Powerhead on the Landworks auger comes with a 2ah 48 volt lithium ion battery and charger. With a battery-powered auger, you don’t have to worry about smog and noise. This makes it very eco-friendly and safe. 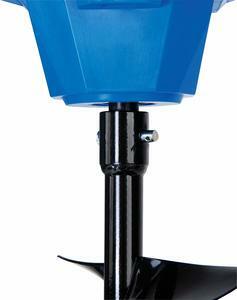 This auger is equipped with an overload protector, so the powerhead doesn’t overheat. The handles are spaced apart to improve balance while you are drilling your holes. 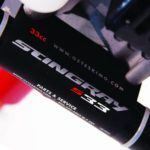 The powerhead also comes with a brushless motor and is designed with a 3 Planetary gear mechanism, so it transmits higher with better efficiency. The max speed is 320 RPMs. The horsepower is 2.01 HP with 60 nm of torque and a maximum wattage of 1400W. Drill 30 Holes With Single Charge! You can get up to 30 holes drilled on a single charge with the 2AH battery. You can drill up to 60 holes if you purchase the 4AH ion battery. 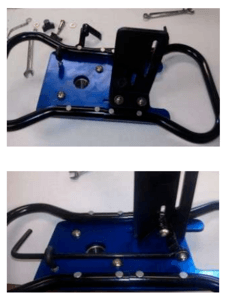 This unit comes with the 2AH, but the 4AH can be purchased separately. The hand grips are made of ergonomic silicone to reduce stress on your wrists and arms. 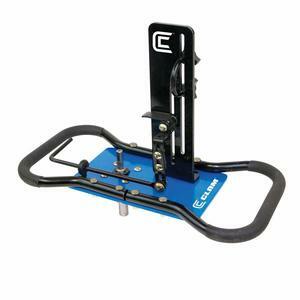 Has an easy to reach safety button in case you trip and fall when using the auger. There’s also a reverse torque control button that’s easily accessible so that you can take the auger out of the hole with the slush or dirt debris so that you don’t have to do any hand shoveling or scooping. You can drill in the dark with the LED high-intensity light that is incorporated into the powerhead. The Landworks auger you can either get the earth blades for boring in soil or you can get the ice blades for drilling ice fishing holes. 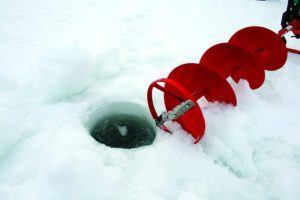 And of course, the ice auger blades are used to drill holes for ice fishing. 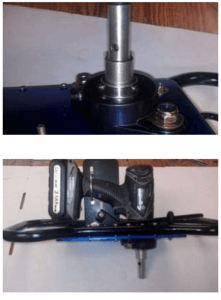 The powerhead and the auger blades have what is called a universal threaded bolt connection. The blades fit easily with this connection. 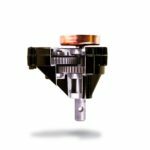 The blade is secured with a locking mechanism on a threaded ½” socket cap bolt. There will be no play in this auger blade bit. 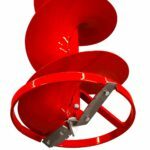 I recommend this auger especially if you are using it for both worlds. It’s lightweight at only 22 pounds that includes the auger blade. Landworks is a strong brand with many great reviews on a whole line of their products. 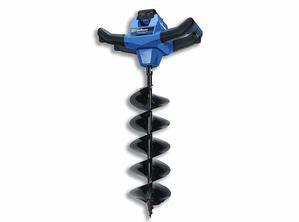 Be it summer or winter you can drill drill drill with the Landworks auger. The applications are almost endless. Well worth the money spent on this auger. Landmarks products are high quality, and the customer support is superb. They produce many other great outdoor products as well, and they stand behind them all. If you have any questions feel free to leave them in the comments below.